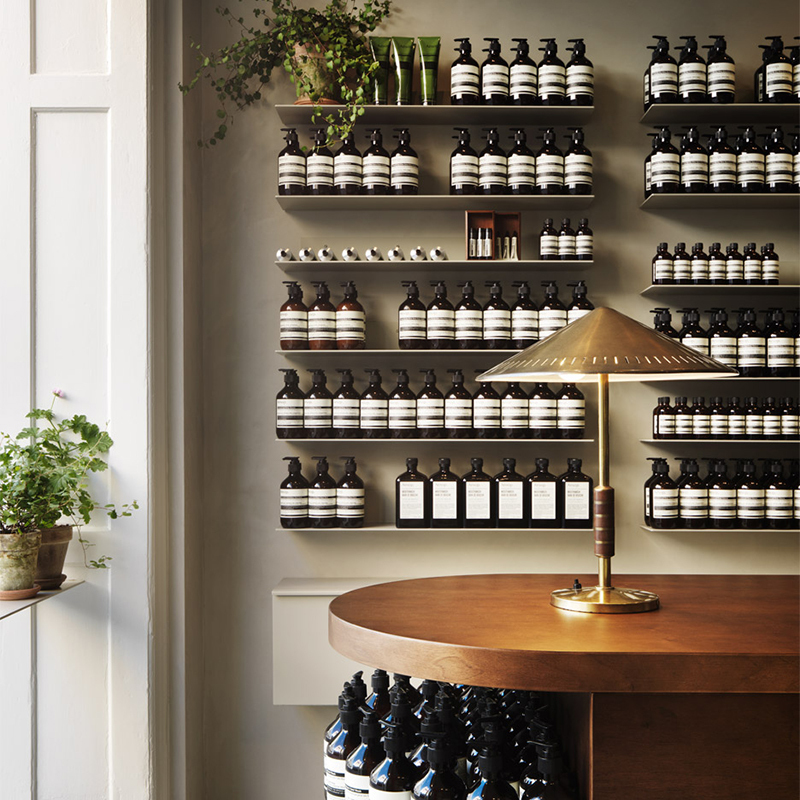 With no two stores alike, the unveiling of a new Aesop store is always a sight. The Værnedamsvej in Frederiksberg, Copenhagen location was designed was Ilse Crawford of Studio Ilse. 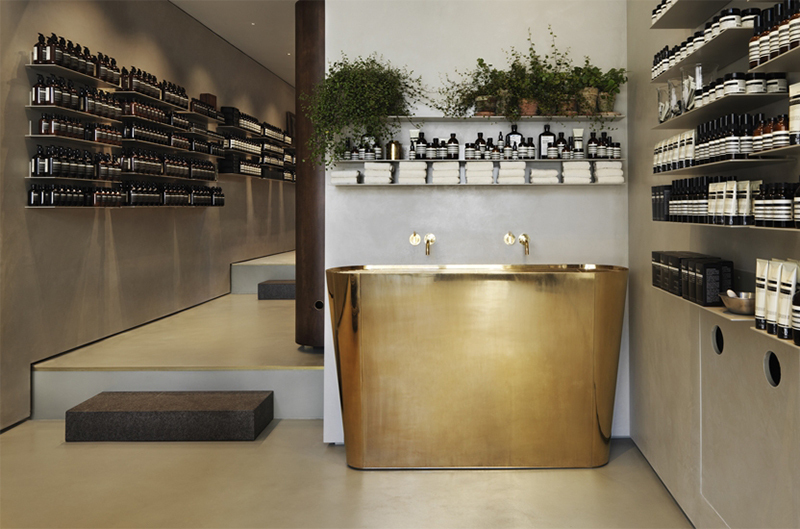 She drew inspiration from famous Danish painter Vilhelm Hammershøi along with the elegant simplicity of Nordic design to incorporate greens, greys, brass and timber. The original concrete floors were given a lime wash and Made By Hand was commissioned to make a custom brass pendant light (see it here) for the back room. In addition I'm sure it all smells heavens and hopefully I'll get to visit this IRL very soon!